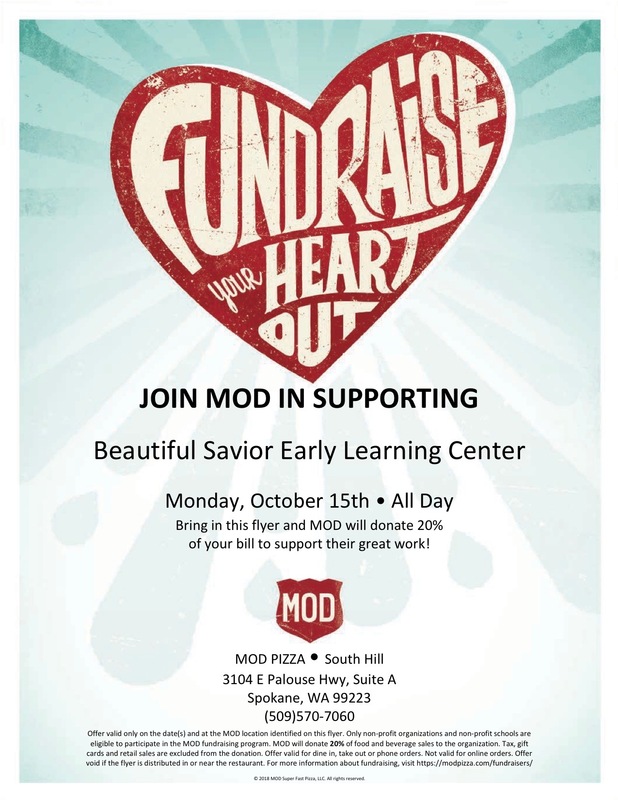 Just a reminder that MOD Pizza has generously agreed to donate 20% of your purchase on Monday, October 15 to Beautiful Savior Early Learning Center. Just show them this flyer on your smart-phone or take a paper copy in to show that you are supporting BS-ELC! Distribute the image or flyer freely so we can make the most of the generosity of MOD Pizza! Next Sunday, October 21 is a Kids Sing Sunday! 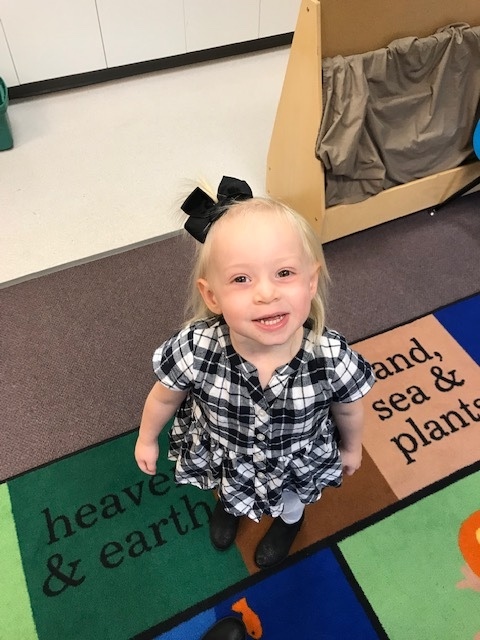 We are excited to welcome you all to join us at 10:30 to worship with us and hear the sweet praises of your children woven throughout the service. Please plan to join us for this special time when church and school come together to praise God and receive his gifts. Our Fall field trip is nearly here. Friday, October 26 @ 9:00 we will be going to Hidden Acres in Greenbluff to pick pumpkins, learn about bees, choose an apple, and have a blast together! The cost is $5 per person. 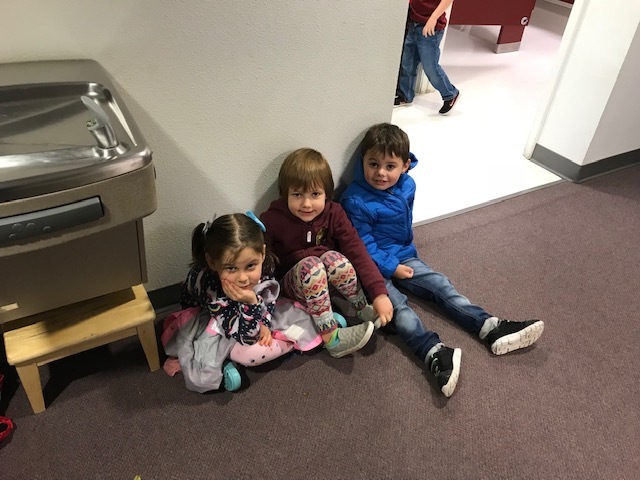 The permission slips will go home this week. If you are able to drive other students, let your teacher know as we will no doubt need additional drivers. Parents are welcome to join us. This is a morning field trip, but the afternoon students are still welcome to join us. No one will be left out! Finally, there is a coloring contest available to our students, sponsored by Lutheran Hour ministries. We will be sending home the coloring sheet. If your child would like to participate, just have them color the sheet and submit it to your teacher by October 26. You can also download the information and coloring sheet. 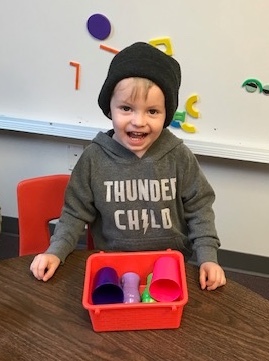 I want to let our ELC families know that Pastor Tinetti has been called to serve a congregation in Arcadia, Michigan. We are saddened to say goodbye to he and his family, yet we are beyond excited to see what God has planned for him and for Beautiful Savior. Pastor T. has been a blessing to the ELC and we will surely miss him. We are grateful for his service to our school ministry. If you see him, be sure to wish him well. We would love your prayers as we seek God’s will and plan for the future of BSLC.